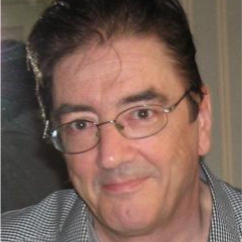 Graham Masterton is a prolific, acclaimed and highly popular horror, crime and thriller author. He has won many awards, including a Special Edgar Award from the Mystery Writers of America and a Silver Medal from the West Coast Review of Books. He is also the only non-French winner of the prestigious Prix Julia Verlanger. His first novel The Manitou was published in 1976 and was adapted to film in 1978. He hasn't stopped writing since.